On average, well over 100,000 children are adopted annually in the United States. The decision to adopt a child is dependent on many factors, and financial obligations often become a significant one. Adopting a child can cost anywhere between almost nothing and more than $40,000. While no one can truly put a price on having a child, the cost of adoption can be difficult to overcome. Some employers offer adoption assistance as a voluntary benefit to help you afford the adoption process. Adoption assistance benefits help you with various parts of the adoption process. Benefits might include advice and help with paperwork, time off while bringing the child home, reimbursement for adoption-related costs or other types of assistance. Employers that offer adoption assistance benefits understand the importance of supporting their employees who choose to adopt. Employers typically design their adoption assistance benefits similarly to the benefits they provide for new biological parents, particularly regarding parental leave policies. What Do Adoption Assistance Benefits Provide? Adoption assistance benefits come in many forms, but the benefits can be generally categorized into information resources, financial assistance and parental leave. 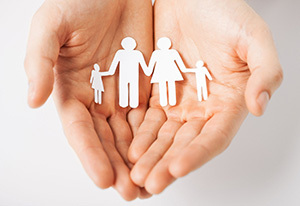 If your employer offers adoption assistance, it may be in one or more of these categories. Information Resources. The adoption process can be fraught with complicated rules, processes and paperwork. Information resources from your employer can help you navigate the adoption process. This assistance may include access to an adoption specialist who can answer questions or provide special support for more difficult adoption situations. Other resources may include recommendations for licensed adoption agencies, support groups and organizations. Financial Assistance. Another benefit is financial assistance for many adoption-related expenses. Fees and expenses associated with adoption may include public or private agency fees, court costs, legal fees, foreign adoption fees, home study charges, medical costs, temporary foster care charges, transportation and traveling costs, pregnancy costs for a birth mother and counseling fees associated with child placement and transition. Employers that offer this financial benefit can set up the program in various ways. Financial assistance for adoption could be provided in the form of a single payment to assist with the adoption — usually an amount between $1,000 and $15,000. Assistance might also be provided through reimbursement for adoption-related fees and expenses. For example, an adoption assistance reimbursement program might cover 80 or 100 percent of specified expenses (such as court fees, travel expenses or child medical care) up to a predetermined maximum amount. In addition, an employer may provide benefits per adoption or per child adopted. Expenses may be paid up front as they are incurred or reimbursed after child placement or when adoption is finalized. Some employers provide extra financial assistance for the adoption of children with special needs. Parental Leave. Like the birth of a child, bringing home an adopted child requires time and care. Parental leave allows you the time you need to assimilate the child into your home and make sure he or she is properly cared for. According to the Family and Medical Leave Act (FMLA), companies with 50 or more employees are required to provide both mothers and fathers up to 12 weeks of unpaid leave for the birth or adoption of a child. Companies that offer adoption assistance benefits may offer additional parental leave, or they might provide paid parental leave or a combination of paid and unpaid time off. How Does Adoption Assistance Work? If you are planning on adopting a child and hope to benefit from your company's adoption assistance program, make sure you understand the specific policies and tax implications before applying for adoption assistance. Eligibility. Eligibility for adoption assistance benefits varies according to the company's specific benefits program. Typically you must be a full-time, regular employee in order to qualify. Other qualifications for eligibility may include your length of employment. In addition to your employment status, the type of adoption may affect your eligibility for this benefit. Some companies will not offer the reimbursement benefit for the adoption of children older than 16 or 18 years or for stepparents adopting their stepchildren. Tax implications. Adoption assistance benefits, especially those in the financial assistance category, will likely affect your taxes. For example, company reimbursement for your adoption expenses may impact your adoption tax credits. You can visit www.irs.gov/Individuals/Adoption-Benefits-FAQs for further information on adoption tax credits and how they may be impacted by employer reimbursement.